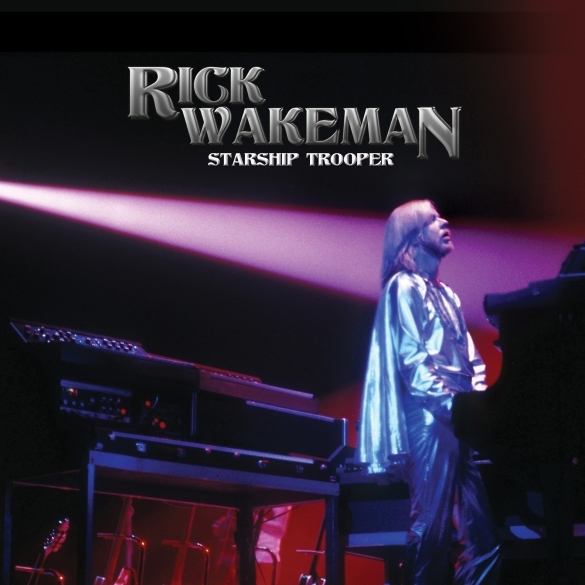 Keyboard Legend Rick Wakeman To Release �Starship Trooper� Compilation Feat. Steve Hillage, Nik Turner, Steve Howe, William Shatner and Others! Available on our Web Store! Click to Buy Now! Aptly titled �Starship Trooper�, this amazing collection contains 2 previously unreleased tracks including a powerful rendition of Tool’s �Sober� plus several more brilliant cover songs of The Who, Pink Floyd, and The Doors including 5 never before heard versions! The compilation also includes performances by Gong�s Steve Hillage, Yes’s Billy Sherwood, Steve Howe and Tony Kaye, William Shatner, Colin Moulding, Jerry Goodman, Nik Turner, Carmine Appice and more!